40K Globe - Who Are We? We’re social entrepreneurs with over a decade of experience in building an award-winning social enterprise. We are an organization that is and will always be a ‘work-in-progress’, because working to solve wicked social challenges requires adaptability, resilience and a commitment to ‘always looking for a better way’. In 2005, Clary Castrission OAM and Karyn Avery, two uni students from Sydney at the time, decided to embark on an adventure to the Indian subcontinent that would change their lives forever. 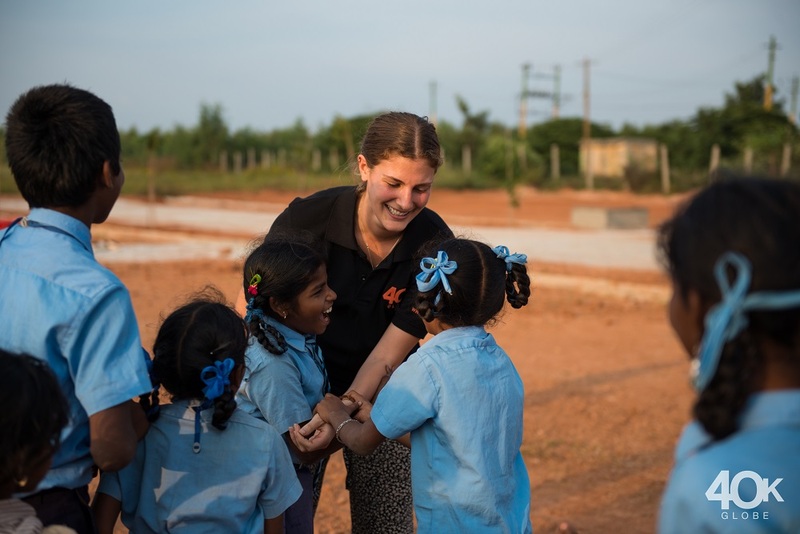 After returning to Sydney they somewhat naively believed that if they could raise AUD$40, 000, they would be able to build a school for a rural quarry community outside Bangalore. The first 5 years of 40K’s life was solely dedicated to building that school. Once the school opened, 40K began the process of changing the business model away from philanthropy towards social business. 40K changed both its education project focus in India so that it could become more scalable, implementable and accessible and its funding model to seek other financial streams. These changes have led to 40K PLUS today running learning pods for 1,850+ children that teach English for primary aged children through technology. Today, 40K PLUS is characterised as an edtech social enterprise and has been backed by Google, the Australian Department of Foreign Affairs and Trade, Atlassian and the MIT Solve Community. 40K Globe was born for the reason that we wanted to pass on the lessons we learnt about creating social change to university students so that they could approach social impact responsibly and be able to avoid many of the mistakes we made along the way. 40K Globe is creating a movement of young Australians who want to challenge themselves and their ideas about social impact through working with an award-winning social enterprise, 40K PLUS. Over the course of a Globe immersive program in an Indian village, participants will learn about the complexities of poverty alleviation and challenge their opinions about their role in global social change. At 40K we have four key values that our organisation lives and breathes. We use these values in all of our decision-making, whether it is for major strategic decisions or day-to-day operations. During Globe, we encourage you to use and live by these values as well.